Despite being signatories, Andhra Pradesh power utilities have challenged the PPAs of wind power developers in a bid to reduce the agreed preferential tariff in the light of lower prices being quoted by some of these and other developers for the projects awarded through open bidding route in the country. The Southern Power Distribution Company of Andhra Pradesh Limited and the Eastern Power Distribution Company of Andhra Pradesh Limited have a filed a petition before the AP Electricity Regulatory Commission (APERC) seeking orders amending the wind power tariff as well as the underlying norms and parameters that were used to determine the tariff. The petition is listed for hearing next week. The discoms have sought the revision of all wind power PPAs signed after the enforcement of the July 2015 regulation in which APERC prescribed a set terms and conditions for determination of tariff for wind power projects for the period between 2015-16 and 2019-20. The petition covers 82 projects involving 70 percent of the total installed wind capacity of 3965.87 mw in the state. Of this, the projects with a combined capacity of 2348.25 mw, or 60 percent of the total installed capacity, came into existence during the year 2016-17, when the preferential wind power tariff was fixed at the highest level of Rs 4.84 per unit by the regulator. A seemingly unfair move to seek revision of tariff after investments were made by the developers in good faith that the PPAs would be honored by the other party for the entire 25-year period, the latest action of AP Discoms comes just as a culmination point of their earlier steps in this direction. 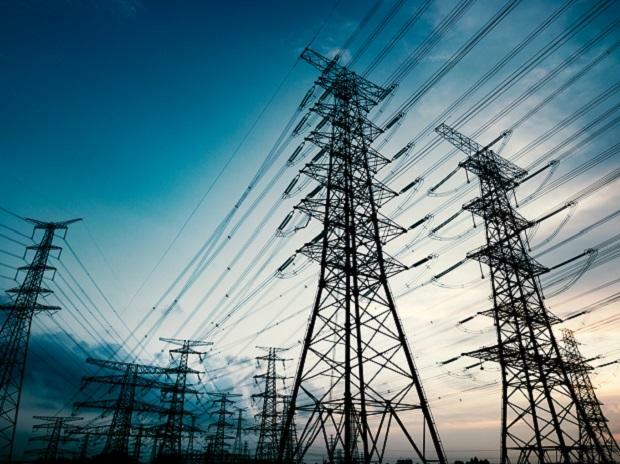 AP Discoms made headlines last year when they requested APERC to return 41 PPAs without its stamp of approval as they started pressuring the developers to bring down the tariff citing the open bidding prices. Further the Discoms stated that they have filed the petition after the negotiations held with wind power developers to discuss on tariff reduction at the directions of the regulator yielded no results. The petitioners argued that the preferential tariff determined by the APERC and adopted the same for PPAs was unjustly higher compared to the price discovered in open bidding of projects conducted by SECI as the parameters that were taken as the basis to determine the tariff were far removed from the reality. The Discoms mentioned in the petition as how Mytrah Energy, Green Infra Wind Energy, Inox Wind Infrastructure Services, Ostro Wind and Adani Green Energy have quoted tariff of Rs 3.46 per unit in a bidding conducted by the SECI in the month of February, 2017 but entered PPAs with the southern Discom at a preferential tariff of Rs 4.84 per unit based on the APERC orders for 2016-17. “From the above, it is evident that very same developers have offered the wind power at different tariffs, i.e, higher tariff in AP state which is detrimental to the interest of the consumes of the state of Andhra Pradesh,” Discoms argued. Commenting the development, Indian Wind Power Association chairman Kasturi Rangan said it was for the regulator to determine the tariff while any attempt to renegotiate the PPAs by the state power utilities was an unfair act. “The petition filed by the AP Power utilities is an excuse to avoid paying the bills to the wind developers,” he added. Making matters more complicated for the wind power developers, the power utilities have questioned almost all the major parameters of tariff determination, including the Capacity Utilisation Factor (CUF) seeking their revision. For instance they argued that CUF of 23.5 percent, one of the parameters taken for tariff determination was in fact far higher, ranging up to 28 percent ,as most of the developers who have established their projects had used the advanced technologies involving higher hub-highs and the increased rotor diameter among other things. They sought revision of values and percentages in five parameters including CUF to 26.5 percent from the present 23.5 percent; Return on equity to 14 percent from the existing 16 percent; Loan tenure to 13 years from the present 10 years; Interest on term loan to 9.23 percent from the present 13 percent. As all the whose who’s in the wind power sector have figured in the list of respondents, it would be interesting to see how these developers would counter the AP Discoms’ stance on all these counts, and defend their case against the revision of PPAs before the regulatory commission in coming days.